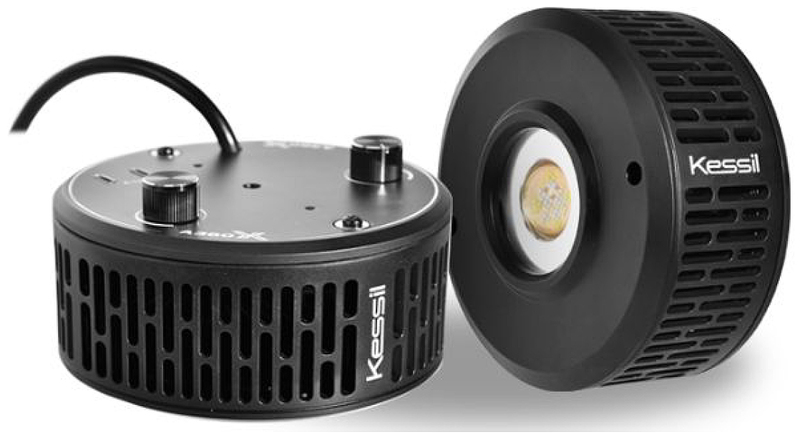 This is the most popular package combo for most reef tanks. AquaMaxx Fluidized Media Reactors are multi-purpose aquarium water filters specially designed for use in marine and reef aquaria. Insert your media of choice to help eliminate organic pollutants, odors, discolorations and algae fuels. Fluidized reactors, also commonly referred to as phosphate or media reactors, are one of the easiest and most effective ways to use filter media in a saltwater aquarium system. These versatile filters are capable of running several different types of filter media, from activated carbon and granular ferrous oxide to resin and nitrate-reducing media. The up-flow design of AquaMaxx Fluidized Media Reactors helps to keep filter media suspended and evenly dispersed to provide maximum contact time between your aquarium water and the media inside the reactor. Water is introduced into the bottom of the filter and then gravity pushes it upward through the media and back out into your tank. AquaMaxx Fluidized Media Reactors are available in two sizes: Standard and XL. They are computer designed, precision-cut and made of polished A-class acrylic. All AquaMaxx media reactors are rigorously tested in saltwater environments to ensure reliability, efficiency and affordability. AquaMaxx Fluidized Media Reactors require a small pump/powerhead and tubing (sold separately) to push water through the reactor. You can plumb the reactor using 1/2" or 3/4" flexible vinyl tubing. Using a ball valve is highly recommended because it will allow you to regulate the flow rate. Since different types of media have different flow rate requirements, be sure to reference the manufacturer’s suggested flow rate for the media you intend to use (it’s usually listed in the product description and/or on the product label). An optional hang-on adaptor (sold separately) is available for additional mounting configurations. For best results, use AquaMaxx Phosphate Out Granular Ferrous Oxide (GFO), AquaMaxx Carbon One Activated Carbon or similar aquarium filter media. Reactor Footprint: 5.5" x 5.5"
Controlling nutrients inside our aquariums is one of the keys to preventing nuisance algae growth. 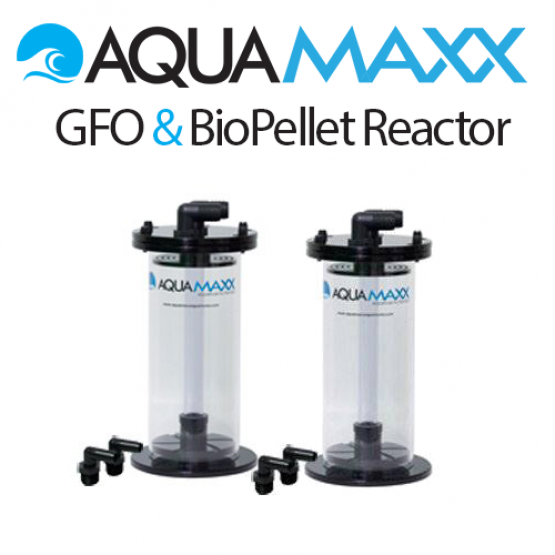 The AquaMaxx BioMaxx BioPellet Reactor is a finely-tuned fluidized filter designed to help hobbyists remove nitrates and phosphates from reef aquarium systems. 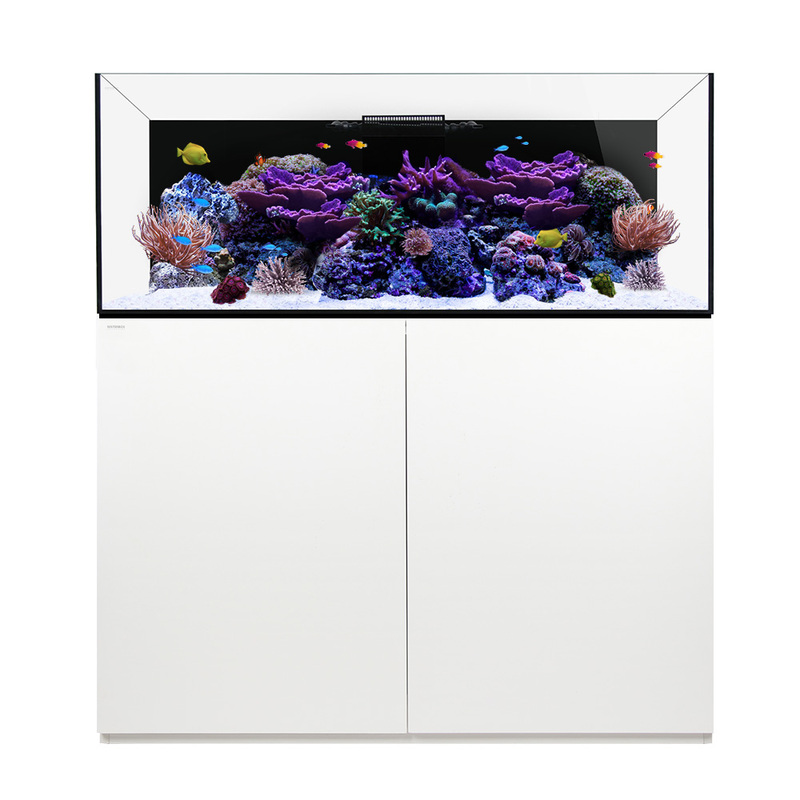 AquaMaxx BioMaxx bio pellet reactors are computer designed, precision-cut and made of polished A-class acrylic. All AquaMaxx media reactors are rigorously tested to ensure reliability, efficiency and affordability. 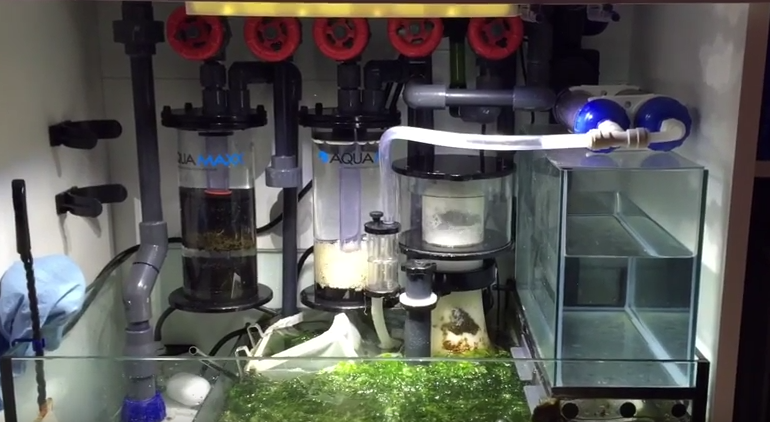 The AquaMaxx Bio Pellet Reactor utilizes a fluidizing plate to keep biopellet media suspended and evenly dispersed. 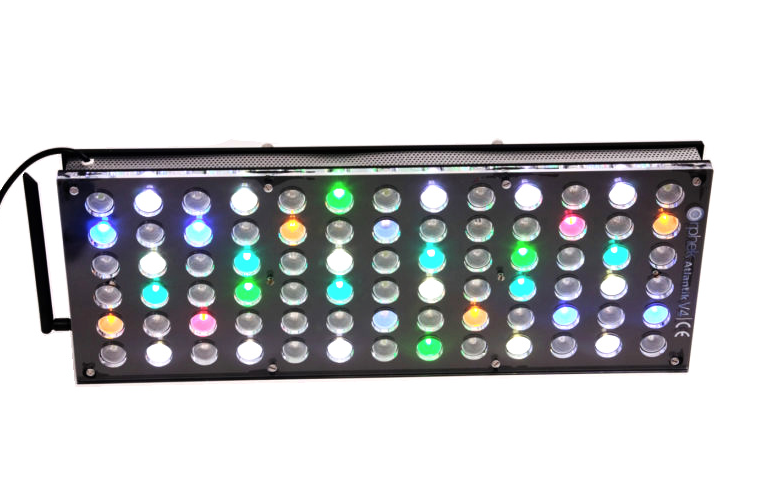 The upward flow design provides maximum contact time between your aquarium water and the bio pellets inside the reactor. The Aquamaxx BioMaxx Biopellets Reactor also includes a special plate on the lid to keep media within the reactor without the need for sponges. Adding a bio pellets reactor to your reef aquarium filtration system will improve the water quality for fish and other marine life. Biopellets initiate a more efficient denitrification process that removes nitrate and phosphate from aquarium water to prevent algae growth or harm to invertebrate and coral. The AquaMaxx BioMaxx BioPellet Reactor requires a small pump/powerhead and tubing to push water through the reactor (sold separately). You can plumb the reactor using ¾" flexible tubing. Using a ball valve is highly recommended because it will allow you to dial-in the correct flow rate. 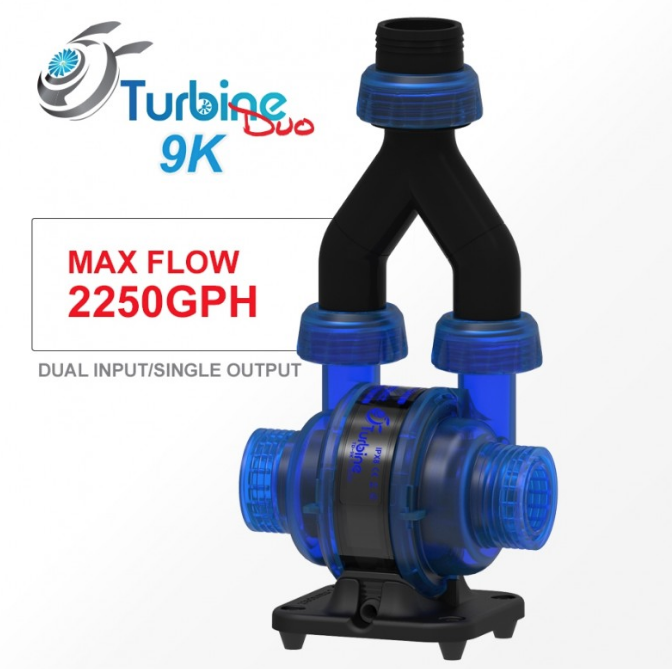 A flow rate of 200-300 gallons per hour (GPH) is recommended for the AquaMaxx BioPellet Reactor. A flow rate of 300-600 GPH is recommended for the AquaMaxx BioMaxx XL BioPellet Reactor. Exact flow rates required to tumble the media will vary based on how much media is being used. An optional hang-on adaptor (sold separately) is available for additional mounting configurations. For best results, use AquaMaxx BioMaxx Plus BioPellets or similar biofiltration & nutrient control filter media. All AquaMaxx products carry a 90-day manufacturer warranty and include detailed instructions and diagrams to help hobbyists get up and running immediately. Inlet and outlet hose fittings for ¾" flexible tubing included.